By working in close collaboration with Craft Engineering, the original manufacturer, you have the guarantee of the best choice, that which you deserve. 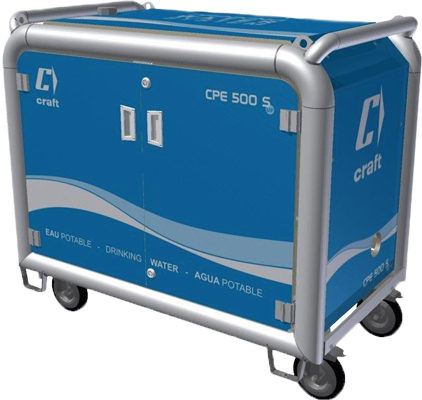 Craft ® installations are supplied, if need be, from the supply pump right to the drinking water tank, with all the connections required for the distribution of quality drinking water. Renewable energy solutions responding to the latest technologies are also available. Equipped with original Craft-O-Matic ® technology, intégrated with the best completely automated management system (Siemens®) available on the market, its flexibility is optimal. Start-ups and monitoring are simplified on-site. Transport and installation simple and secure. Automatic back-washing. 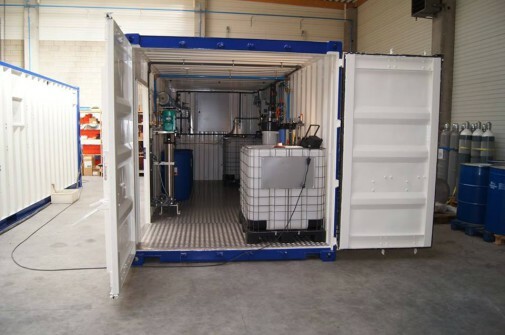 Minimal maintenance Low servicing costs Maintenance work simple and rapid Capacity of production from 5,000 to 20,000 litres/hour. Quality equipment, designed and built to last. Optimal re-sale value. As its name indicates, the maintenance kit allows preventive maintenance to be performed for better monitoring of the equipment. So as to best protect your installation, an additional roof can be arranged t obest protect your container. Our units can be completed by an autonomous power supply with a mix of wind and solar power (depending upon the model) to further lower the electricity bill. Designed for excellence, built to last. 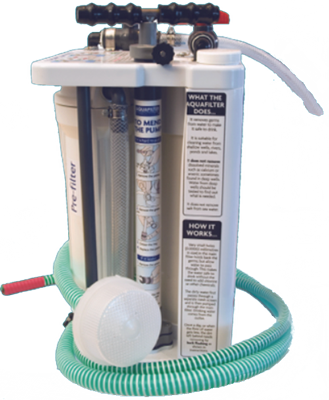 Depending on the type of water, series “M” allows from 140 to 1.000 litres /hour to be treated. Our research and development departments have pushed the membrane technology to the limits to offer versatile, robust and easy to use units. Built from stainless steel for a long service life, totally manual and without electronics, they are mobile, and can be moved and used by a single person. Compact, they are easily transportable using a car, a pick-up or a trailer. Which WATER solution to use? Let us help you. Discover the techniques we use.